The client was clearly very discerning and particular about interior design, and had a beautiful kitchen recently installed. 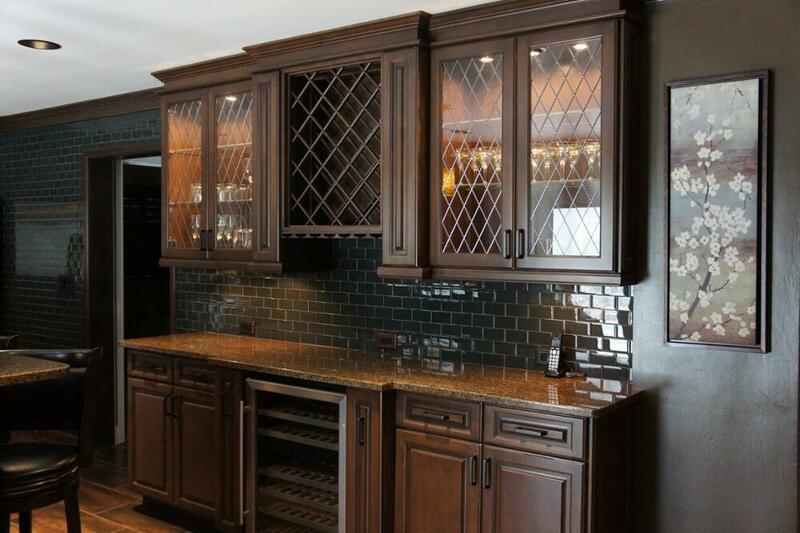 He was looking for a way to bring extra ambient light into the room by illuminating glassware in the cabinets. He felt the initial plain glass looked bare. I played around with a few design options and settled on a simple but classic diamond formation which was just enough to adjust the view of the glassware. The client was very happy and said that this addition further improved the upscale look of the kitchen. Each pane of cabinet glass was leaded by hand so that the diamonds start exactly on the edge of the reveal.